Raise your chance to win lottery syndicate and enjoy breaking the jackpot with your friends! Lottery syndicate is a group of players who gather their money to buy a load of lottery tickets. 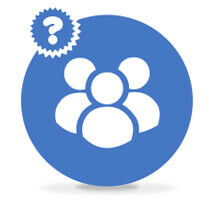 Each player owns a share in the winnings proportionate to how much money he or she contributed to the syndicate. A group may include friends, family, relatives, workmates or on-line lottery players who jointly buy tickets to increase their chances to win. If you bet in a group, I recommend you sign an agreement to avoid problems in the future. In case you win the jackpot (or a lower prize) it may happen that your syndicate manager changes his mind to sacrifice friendship for money. Having no syndicate agreement in your hand it would be tough for you to get your fair share. Syndicate agreement is available at the Lottery’s official website or you can download a relevant template and customise it based on your needs. 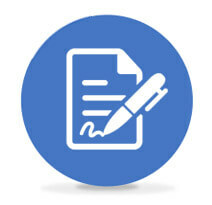 Below you can find all elements of each syndicate agreement should contain as well as some further details to be added to the agreement. With a syndicate agreement you can avoid taxation in case you win a large amount of money. The current rules of the National Lottery stipulate that the jackpot can only be paid out to one member of the syndicate group, the syndicate manager. If you didn’t have the syndicate contract, all members of the team would have to pay a portion of the tax. If you don’t manage to form a group of people you can bet online. You simply choose a particular lottery, your share and pay the adequate sum of money. This system of lottery syndicate online is enabled by the following organisations. According to Jason Kurland, famous US attorney representing lottery winners, you should scan all purchased lottery tickets and send them to all members of the syndicate by email. In the case you win, this seemingly useless exercise may prevent you from losing friends and share of your deserved prize. What if the manager of your syndicate denies the shares to the rest of the team arguing that he has bought the ticket separately, not as a member of the syndicate? Below you can replay a video in which Jason Kurland talks about this issue on CNN. We have already mentioned that you should appoint your syndicate manager. What are the manager’s responsibilities? Syndicate manager is responsible for collecting money, betting on lottery, informing all group members and getting signature from all members for the syndicate agreement. If you are lucky the pleasant part of the manager’s responsibilities will come later i.e. to fairly distribute the prize money. 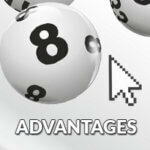 The combination of an online lottery with a syndicate is a powerful tool indeed. You don’t have to form a group of players with the same hobby in your neighbourhood. You don’t have to visit any places and buy lottery tickets and then to chase each member to collect money. At the end of the day, you save plenty of time and your nerves. If you wish to bet on online lottery choose a particular game and size of your share. Obviously, the bigger the share the bigger your potential win. You can choose from a variety of websites across the internet. 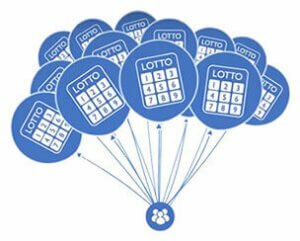 However, our website offers a list of proven and safe providers of online lotteries. All companies shown below have been tested by our team and described in a detailed review. Imagine that the current jackpot in a UK lottery called Lotto, is £100,000. Your group of 10 friends plays a lottery syndicate of 100 lines. Each member buys 10 lines. Your share is 10% (100/10). The result of the draw is that all numbers in one of the tickets match. Fantastic! Your group has won the jackpot (£100,000). With a share of 10% you will get £10,000. If you had bought 10 tickets without playing lottery syndicate your chances to win would have been by 90% slimmer. A big difference, isn’t it?